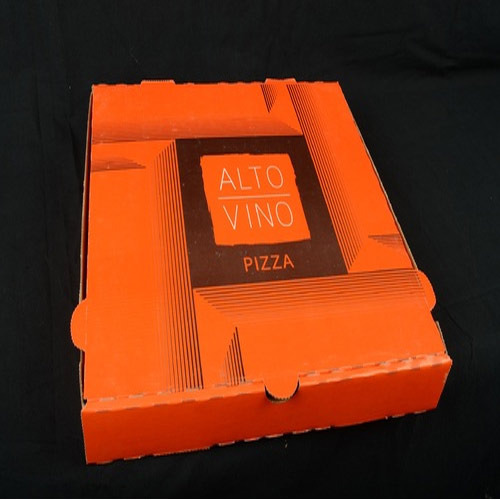 Well-known in the industry as a reliable supplier, exporter, and wholesaler, we are engrossed in offering our customers with Custom Pizza Boxes. Manufactured with utmost care at our vendors' premises, these boxes are developed in adherence to international quality standards. Proving these boxes in various shapes and dimensions, we offer the same at industry leading prices. We, Wrapper India, established our operations in the year 1995, as one of the leading exporters, trader and wholesalers of a broad assortment of Biodegradable and Paper Packaging Products. Our product selection comprises of Paper Plates Boxes, Paper Glasses and Paper Cups that is appraised and accepted for its environment-friendliness, recyclable nature, long lasting finishing and impeccable designs. We are the preferred choice for our customers as these are manufactured using quality grade raw material, at our vendors’ end. We export our products are all over the world. At Wrapper India, we have developed a spacious warehouse that is suitable for the safe storage of products. Equipped with advanced machines, our warehouse is free from dust and insects. Further, we have recruited a team of experienced and knowledgeable professionals, which makes sure that the diverse requirements of our precious customers are met, within the promised time frame. Owing to the outstanding product assemblage, we have garnered some of the key customers that include The Oberoi Hotel, The Taj Mahal Hotel, and ITC Limited.